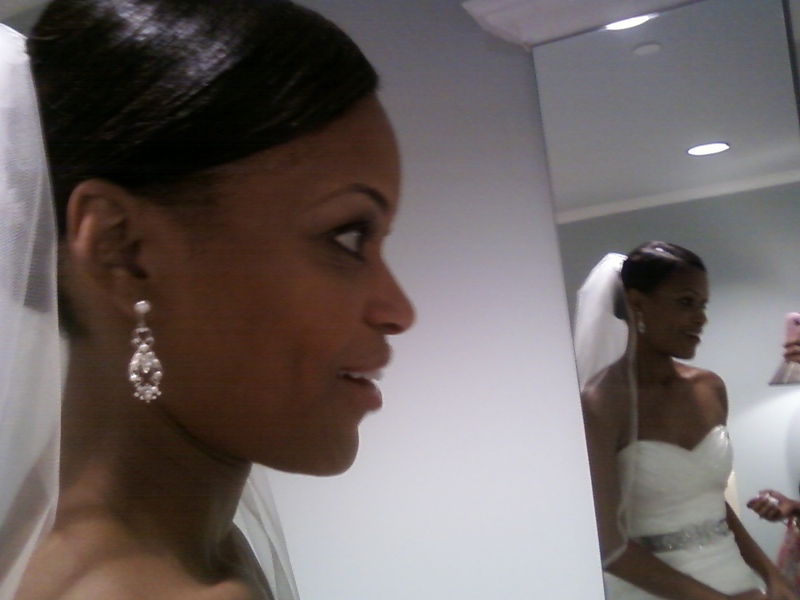 Today I had the honor of doing a Bride Trina’s make-up. 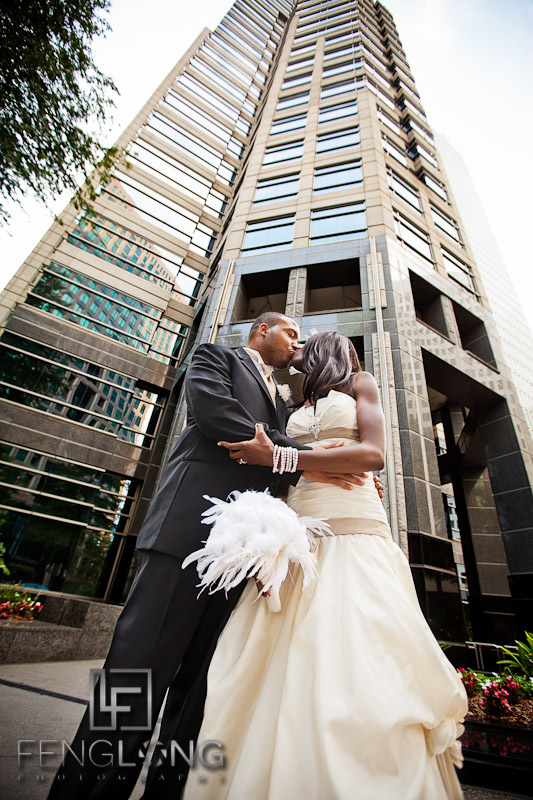 Trina’s wedding theme was Harlem Renaissance. 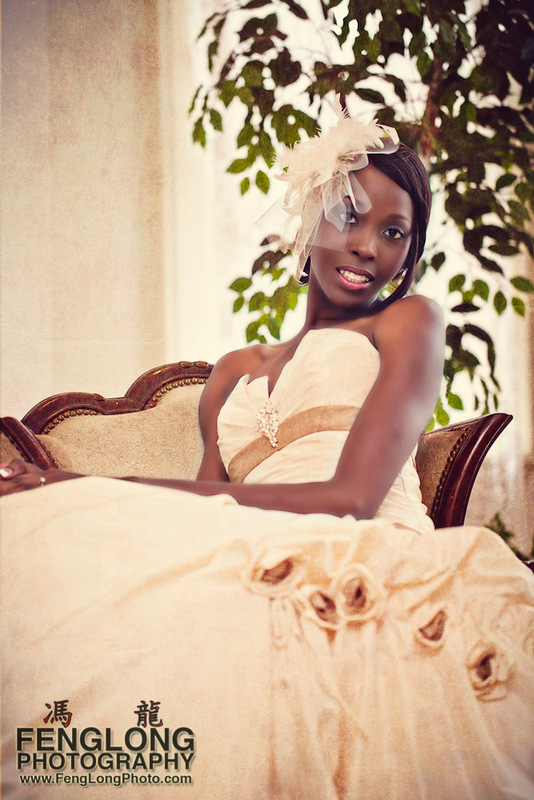 Bride Trina’s style was Vintage. One of the best details of the wedding was the brides feather bouquet with crystals. 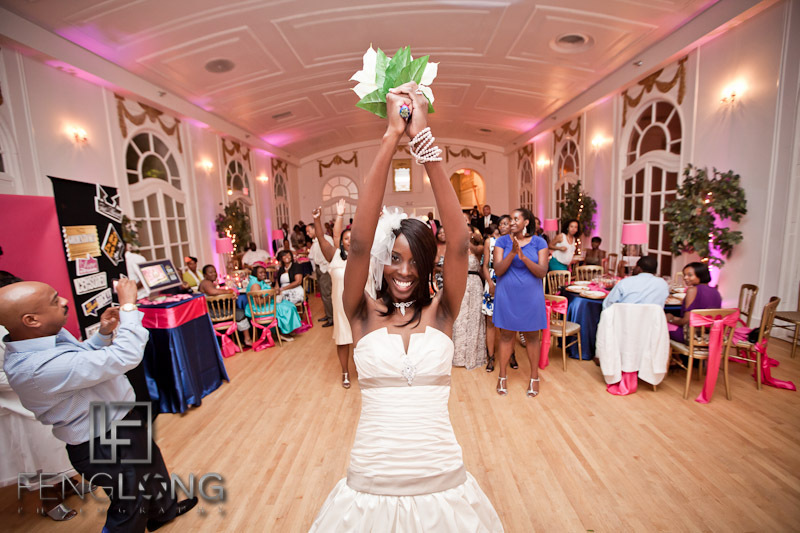 Feather were all over, in her headpiece, in her bouquet and boutineers and on the cake. 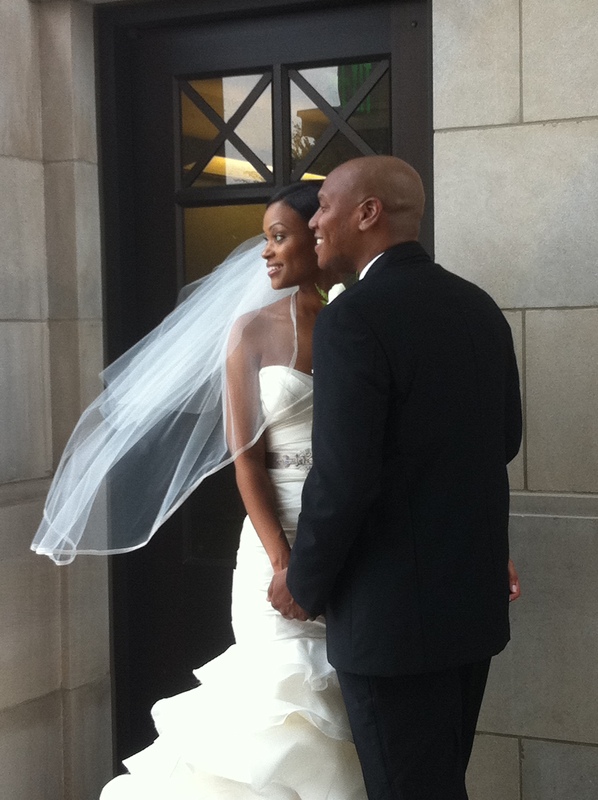 Sneak a Peek of Bride TRINA! Make-up- Slightly smokey eyes with a pop of pink on the cheeks and lips. 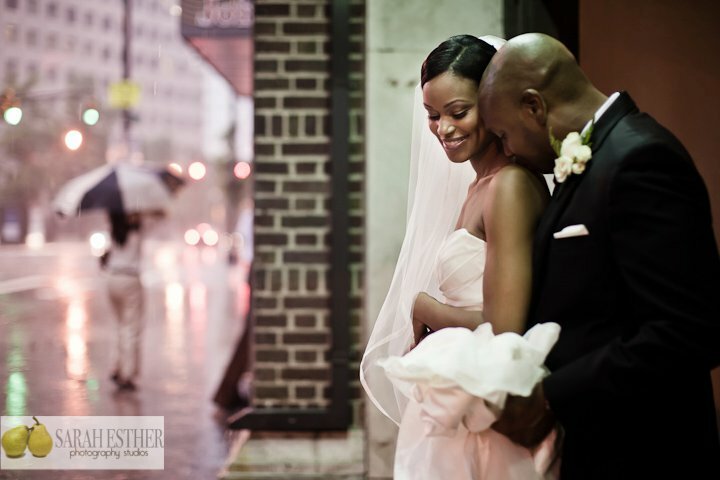 This wedding was absolutely STUNNING! 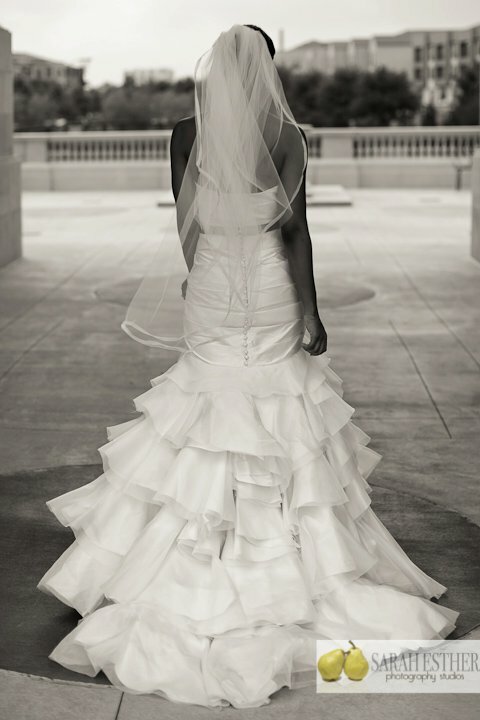 Inspired by pleats, a little bit of ruffles, tafetta, pink cabbage roses, bits of green, bridesmaids in bronze and pearls, must I say more….. 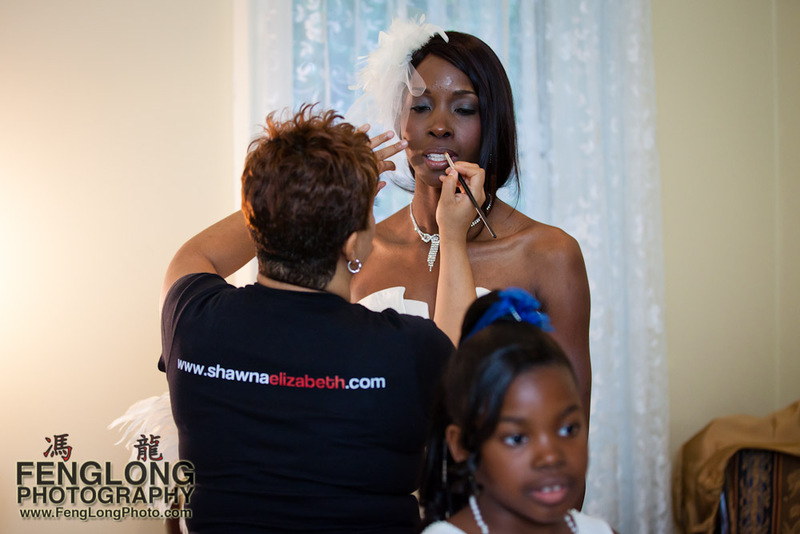 These are snapshots and the behind the scene pictures of Fanta & Ian, will update you when I get pictures from the bride. I love my job……. A SEEsaw Moment- Race Swap! In A Nutshell: This book is great! 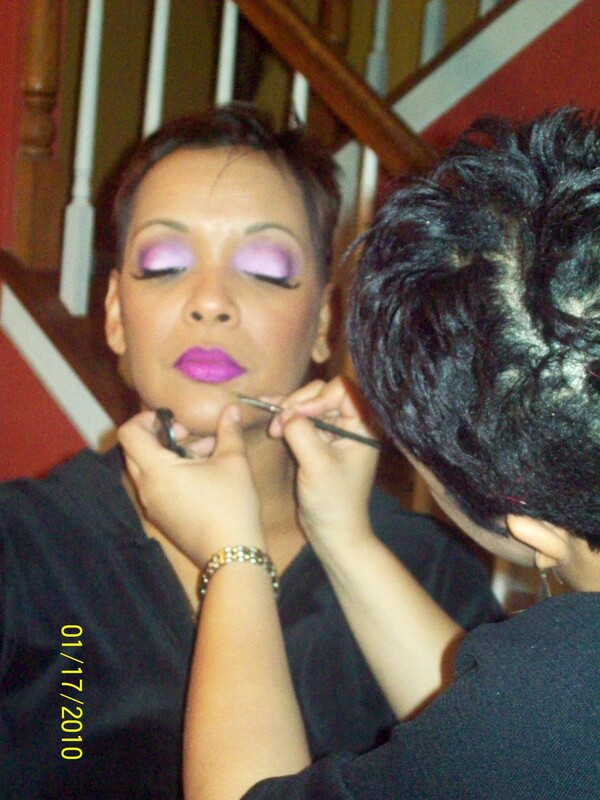 It starts out with a section named”Make-up 101”, which focused on make-up artistry tools and how to tips. Fine offers tips in individual segments from foundation, eyebrows, eyeshadows, blush, lipstick, mascara, etc. My favorite segments are on eyebrows (lightening the brows and the huge difference) and the Contouring and Highlighting segment. 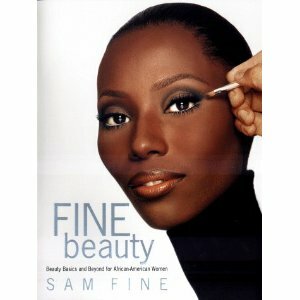 Fine has amazing make overs, where each make over is focused on a different theme. He shows before and after’s in categories such as Natural beauty, corporate chic, timeless glamour, and my favorite Maximum glamour. In the maximum Glamour make-over he uses Rupaul and shows his before and after. Fine also has a Stargazing segment. 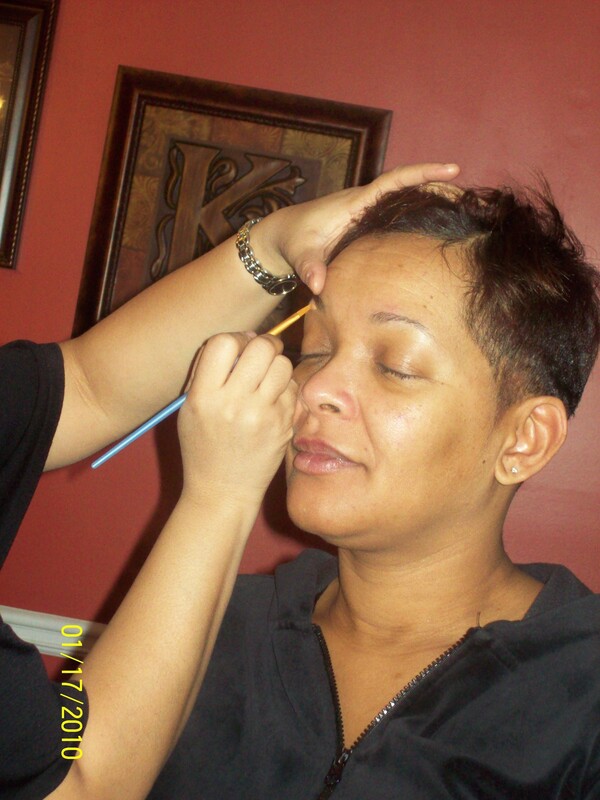 This section is dedicated to celebrity makeovers and Fine’s personal experience working with them. He has had the honor of working on celebrities such as Tyra Banks, Patti LaBelle, Vanessa Williams, and Naomi Campbell, just to name a few. One of my favorite parts of this book is the last section “Fine friends”. In this section, Fine give each of his hi profile friends a personal profile, that tells us abut their current position, how they got started, their first big break and their advice to others. Fine’s friends are Lloyd Boston, Art Director, Angelo Elerbee, Publicist, Jerri Baccus Glover, Marketing Director, Bethan Hardison, Talent manager, and Mikki Taylor, Beauty Editor, just to name a few. Posted by Shawna Elizabeth in How to? Follow these 6 steps to give your eyes a whole new wardrobe! 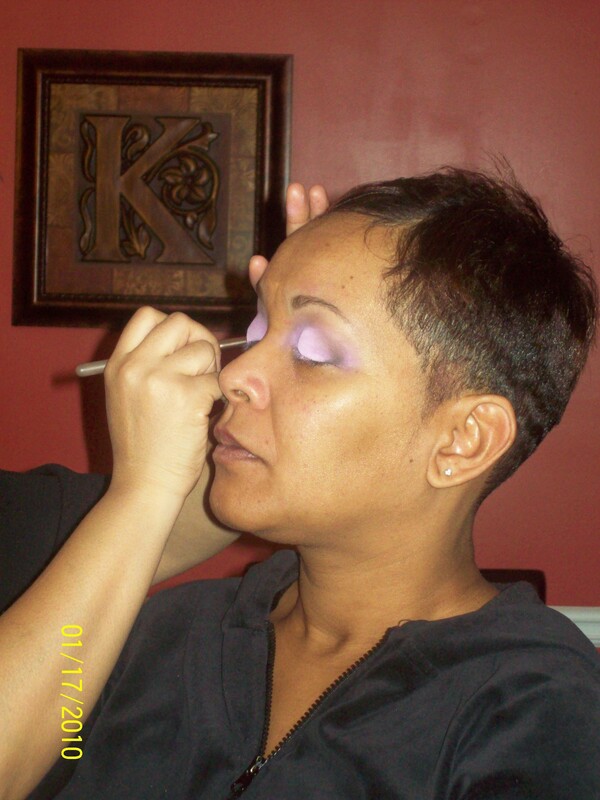 1-Primer An eye shadow primer is to provide a base coat, which will enhance any eye shadow color you apply on top, and to absorb oils, so that your eye shadow is crease resistant and has “staying” power. 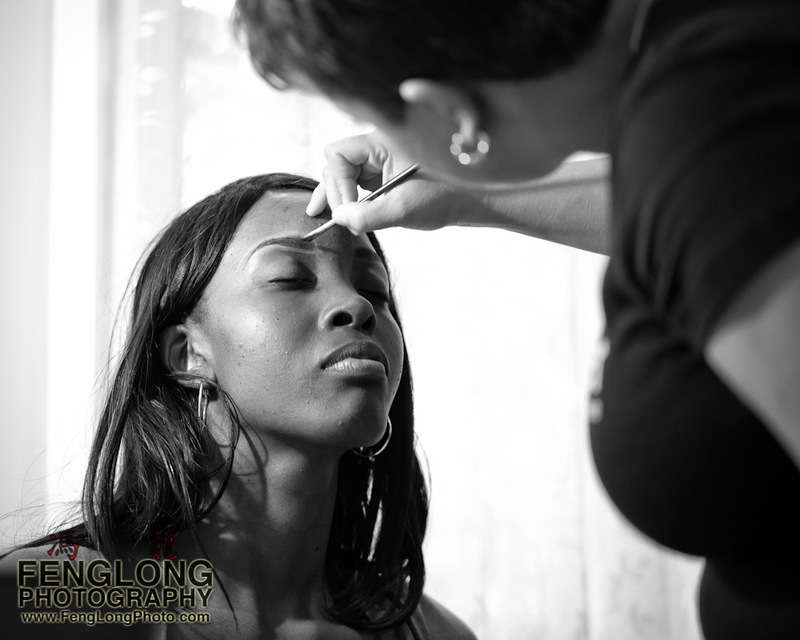 Apply a thin coat of primer all over the eyelid (from the lash line to the brow). 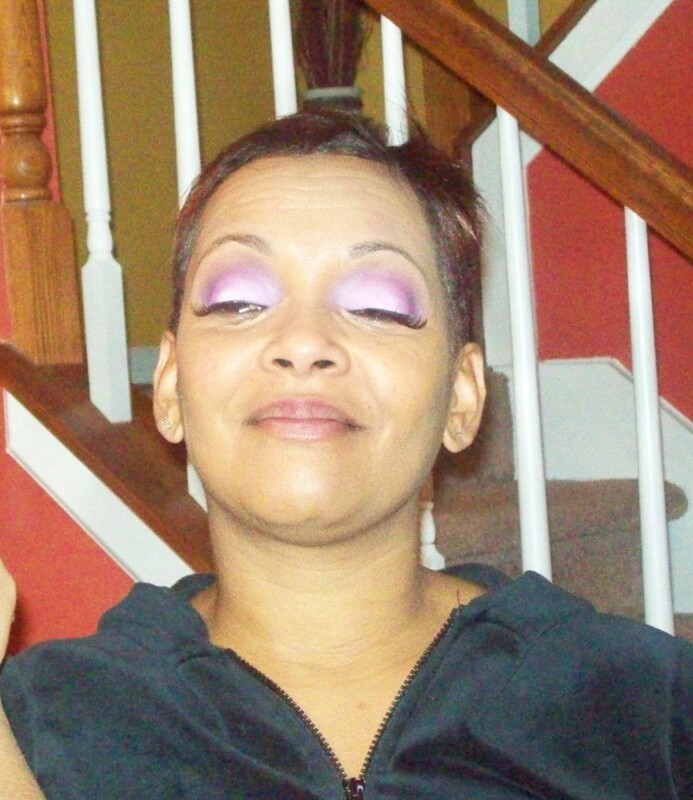 2-Lid Color Apply the lid color from the inner corner to the outer corner of the eyelid. 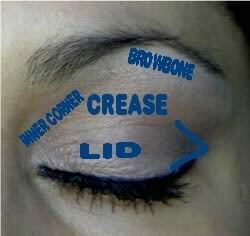 Bring your lid color up to where the eye naturally creases. Use a blending (fluffy) brush to blend away any hard lines. Notice that your lid has three distinct sections inner (closest to the nose) middle and outer, for a more advance technique, you can use different colors in each section. 4-Brow Bone Directly under your brows, is your brow bone. To create color harmony, it is recommended to use a light shade of color. This color should not compete with the lid or crease color. 5-Eye Liner Eyeliner should be applied directly above the top lash line. For a more dramatic look you can apply eyeliner, on the bottom lid and under the top lash line. Get Lashy in 10 minutes! How to add Glamour in 10 minutes? Get Lashy in minutes, and lashes you can do all by yourself. Change your look, enhance your natural lashes, or head for a transformation. Lashes will do it! Now you hold the key to the lash bar, all you have to do is decide your desired “lashy” look and follow the simple steps to Get Lashy! 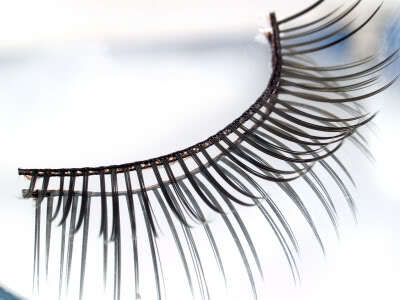 The creation of false lashes date back to 1916, by film director, D.W. Griffith. 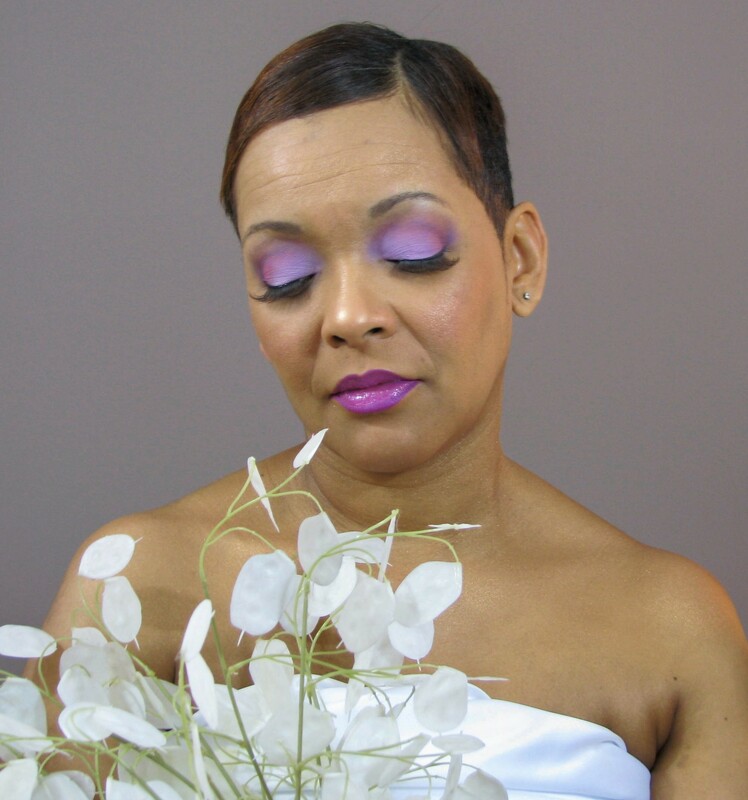 Lashes were initially created for dramatic transformations in movies and theatre. Then over the years they have become apart of many Beauty icons make –up routine. Celebrities from all media outlets (Marilyn Monroe, Beyonce, Tyra Banks, Rupaul, etc.) loved the look of fabulous long full lashes. Today this fashion trend continues. Do you want more Individuality?